Price: $$ ($10-$20) – Available at Bulldog, Drugstore.com, and Whole Foods. Scent: Naturally uplifting blend of lime, patchouli, and bergamot. I like: the refreshing scent. Effective post-shave moisturizer. Absorbs well, not too heavy. Not a fan of: nothing. 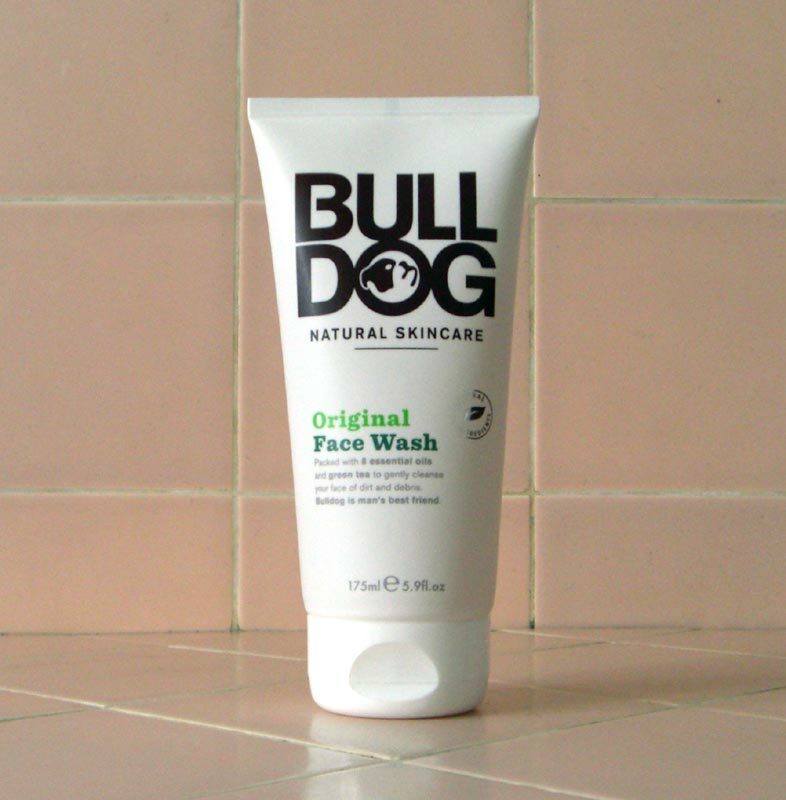 Bulldog appeases the masses of vain dudes once again with this incredible, great-smelling natural face moisturizer. 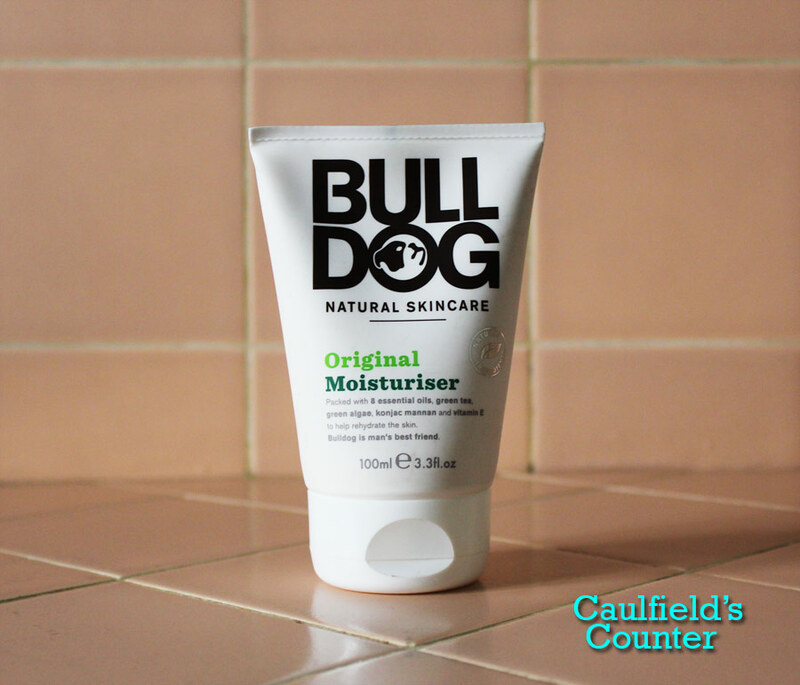 Bulldog Natural Skincare’s Original Moisturiser is another stellar grooming product from the innovative London-based men’s skin care brand. This rich face lotion acts as an incredible post-shave moisturizer that helps to alleviate dryness and irritation. Its incredible scent is the result of an all-natural blend of essential oils including lime, patchouli, bergamot, and lemon. The nourishing moisturizer absorbs easily into the skin without leaving a greasy shine. A pea-sized amount will keep your face feeling great throughout the morning and afternoon. Those who care about anti-aging properties will appreciate Bulldog Natural Skincare’s Original Moisturiser contains green tea extract to help keep us looking young longer. Give it a try if you’re looking for a fantastic natural face lotion. In my attempt to look ten years younger, I prep and shave my beard with the following products: Bulldog Natural Skincare Original Face Wash, Beta Naturals All-In-One Clean Shave Oil + Moisturizer, and Bulldog Natural Skincare Original Shave Gel. Watch the video to see if I succeed in my pursuit of youth. Step 1: Use a gentle face wash. Step 2: Apply a non-SPF face moisturizer. By incorporating this routine into your evenings before bed, you should notice an improvement in your appearance. Try to use products with little or no fragrance as synthetic scents can irritate the skin. 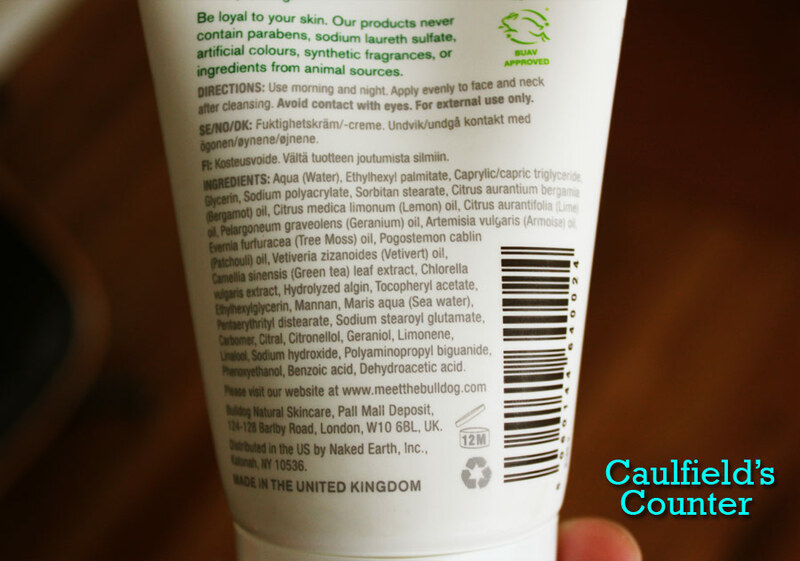 Also, avoid face washes that contain sulfates. Price: $ (under $10) – Available at Abe’s Market and Bulldog. Scent: Refreshing citrus blend of Lime, lemon, and bergamot. I liked: how it was gentle yet effective – it did not dry out my skin. The subtle masculine scent. 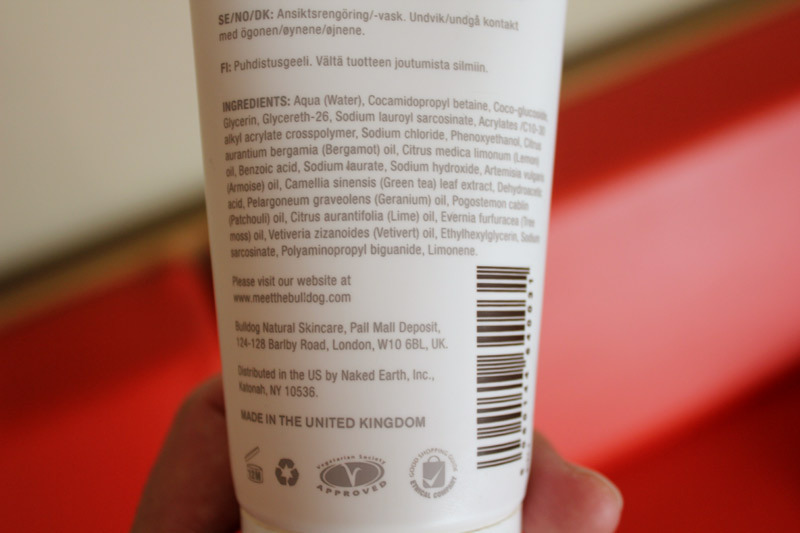 Great value – $10 for an exceptional natural men’s face wash that’s made in England? I’ll take it. I didn’t like: nothing. It’s one of the best natural alternatives out there for men.